Zameen.com, Pakistan’s leading real-estate portal, took Pakistani real-estate market to Dubai by conducing its first ever Expo in Dubai. H.E. Sultan Butti Bin Mejren, Director General of Dubai Land Department inaugurated Zameen.com’s Pakistan Property Show at Za’abeel Hall 5 of the prestigious Dubai World Trade Centre. The Ali Khan brothers including Mr. Haider Ali Khan, CEO of Bayut.com, Mr. Zeeshan Ali Khan, CEO of Zameen.com and Mr. Imran Ali Khan, CEO of Emerging Markets Property Group (EMPG) greeted the esteemed guest at the venue. Not to mention, Dubai is ranked second for highest value of international remittances to Pakistan. Zameen said that the show is aimed at getting the Pakistani property market to Dubai to enhance investor’s trust in Pakistan’s real estate market. Pakistan Property Show will not only build positive image of Pakistan but will also offer an opportunity for Pakistanis living abroad and the international investors to evaluate their options in Pakistan’s real estate market. Expo was opened to public on during both days of the expo. The entry was free for visitors and more than 7,000 visitors and investors participated at the Expo. The Pakistani realty market has been witnessing a boom over the last decade due to establishment of a diverse portfolio of gated communities with standards to match overseas Pakistanis experience of foreign living in modern cities. With the additional shortfall of 10 million housing units the market sentiment can only remain bullish. Simply put the demand far exceeds the supply. The business has only one direction to go – upwards. Simply put Pakistan Property Show is the key to full realization of the estimated US $700 billion Pakistani realty market. Overseas Pakistani worker remittances amount to US $19.3 billion. Pakistan Property Show will bring about two fundamental changes. Firstly it will vastly improve share of real estate in the remittances. Secondly it will help substantially grow foreign direct investment by attracting foreign investors and developer groups to Pakistan. We have about 50 exhibitors comprising leading developers and real estate brokerages participating in the Pakistan Property Show. They are showcasing a wholesome bouquet of properties from all across Pakistan – All the way from Peshawar, Islamabad, Lahore, Karachi to Gwadar and everything in-between. Overseas Pakistanis with varying preferences and budget ranges will be able to find something to their liking at the show. Foreign investors – both the go-slow and aim-big will equally have most secure and high yielding properties to choose from. UAE is home to 1.5 million overseas Pakistanis. The economic significance of these numbers is the US $4.33 billion remittances per year that makes up for 22.367% of the yearly remittances from overseas Pakistanis globally. The only missing part of the equation was a platform that provides secure access to the Pakistani realty across Pakistan – Pakistan Property Show Dubai has today completed the equation. EMPG’s group companies across UAE, Pakistan and Bangladesh are helping the regional multi-trillion-dollar real estate industry realize its full potential. EMPG has successfully innovated a unique regional framework for collective economic growth that we hope will guide regional markets in other parts of the world. Zameen.com is globally recognized as one of the most innovative and fast-growing property portals. Over 4.5 million monthly visitors from all over the world making Zameen.com the most trusted partner for making property decisions in Pakistan. 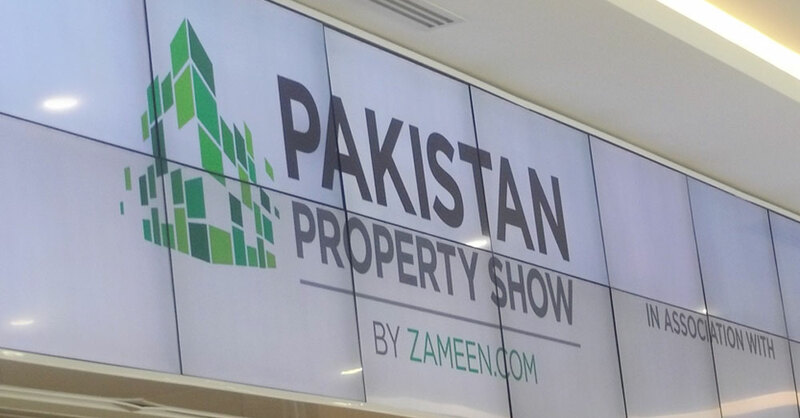 With the Pakistan Property Show, Zameen.com aims to promote a positive, progressive and investment-friendly Pakistan to the global community.